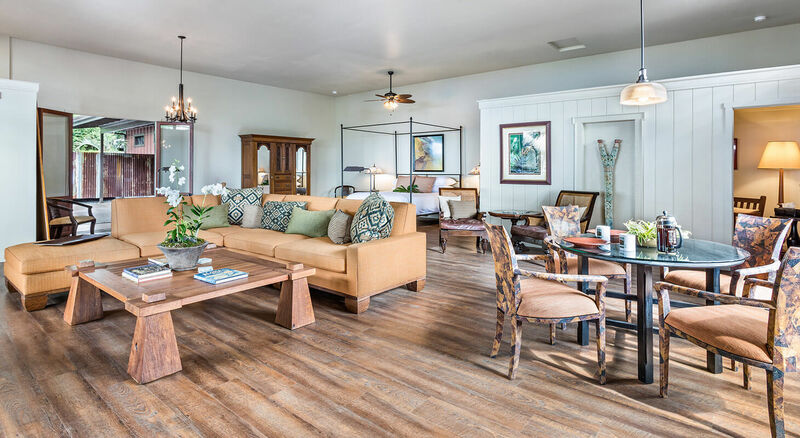 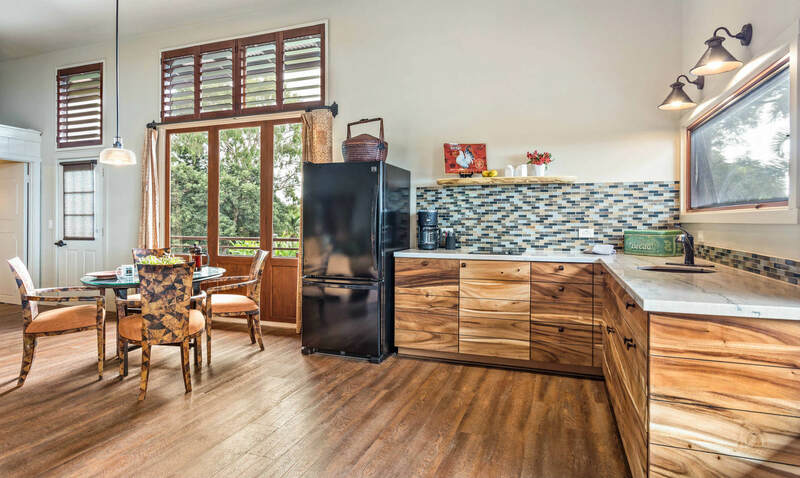 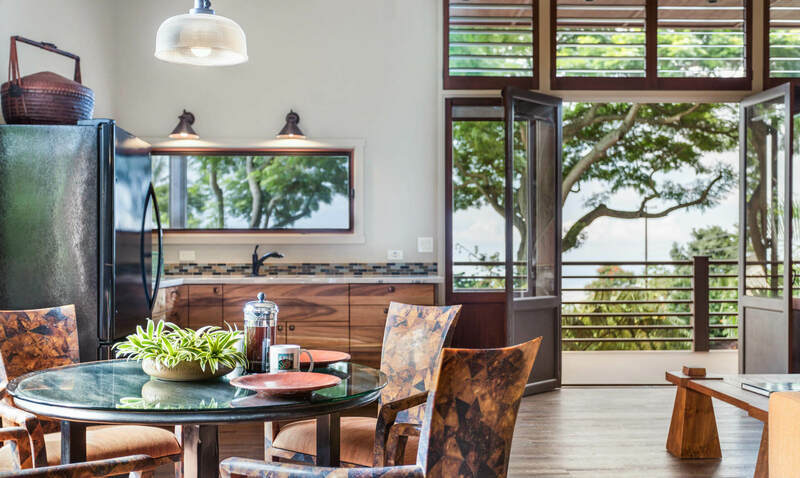 This newly-renovated, one of a kind Big Island vacation rental with ocean views offers spaciousness and privacy. 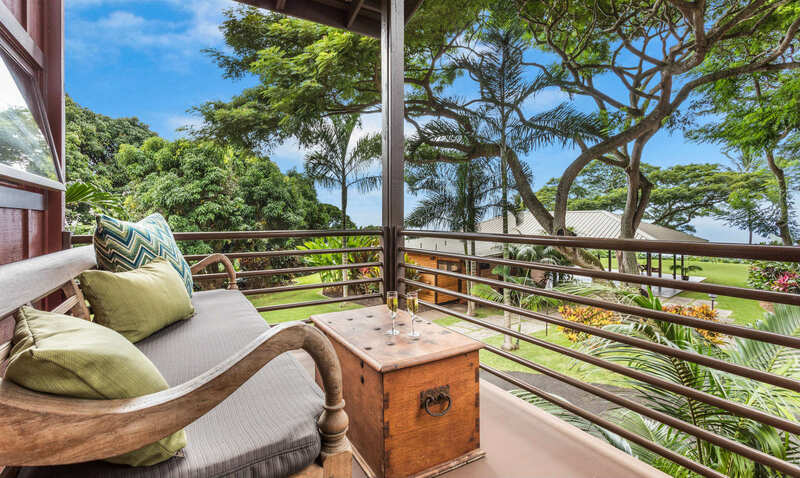 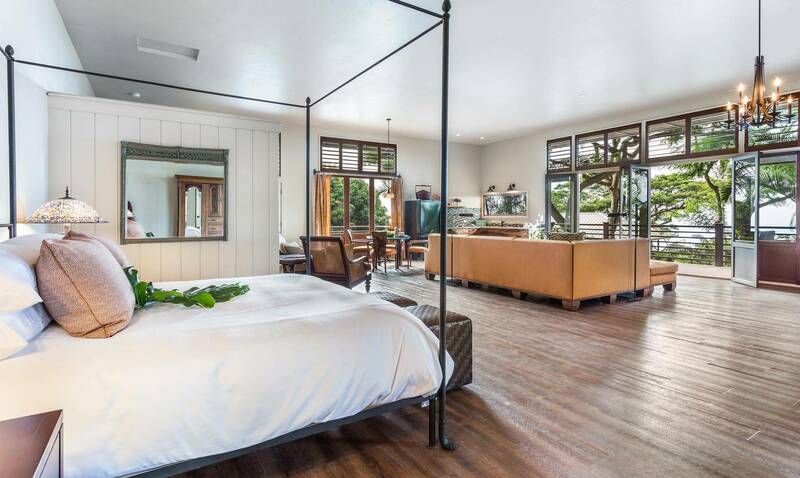 It’s located at the top of the property overlooking our stunning tropical estate and the beautiful Kona coast. 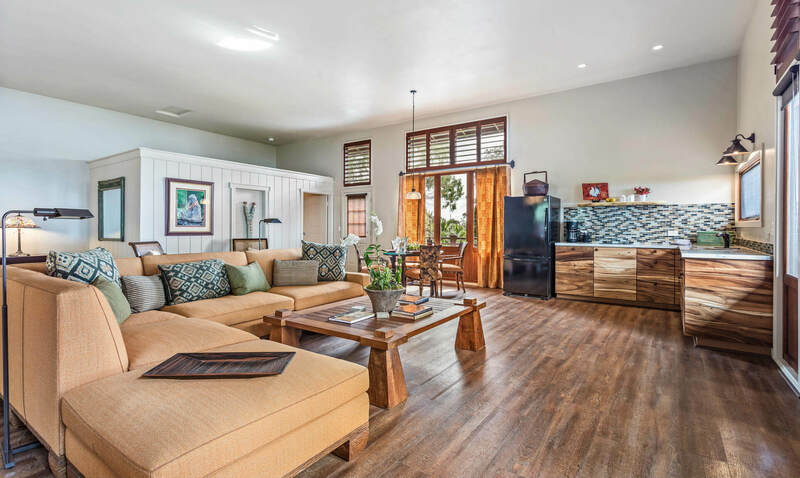 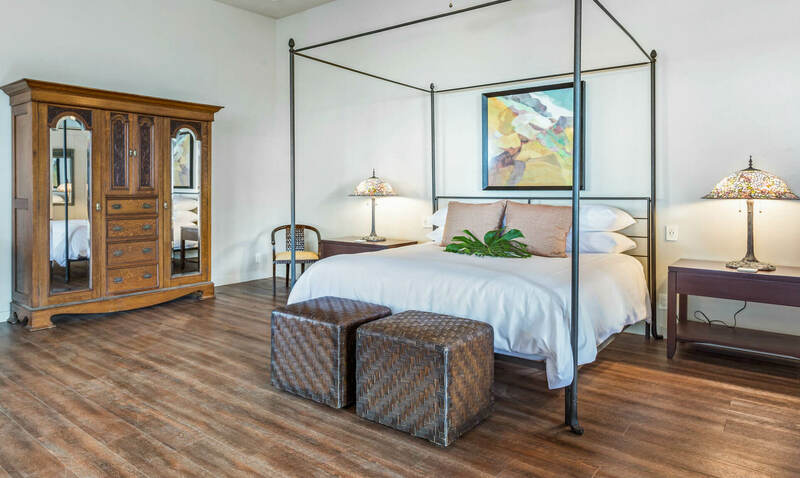 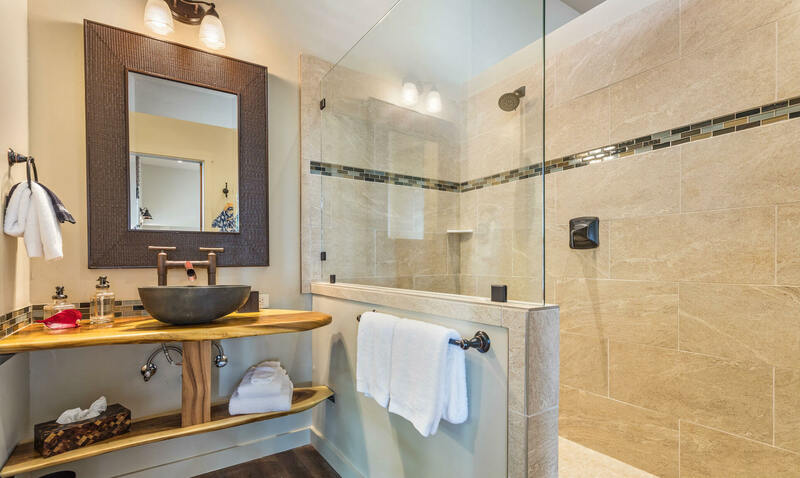 This one bedroom suite features a king-sized bed, kitchenette with a refrigerator and ice maker, walk-in shower, full bath tub, double sinks, dressing room, huge great room and French doors leading to two private lanais. 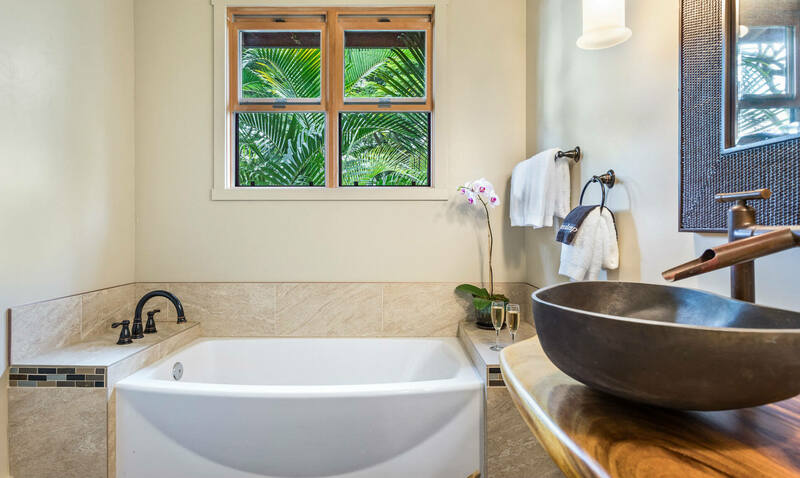 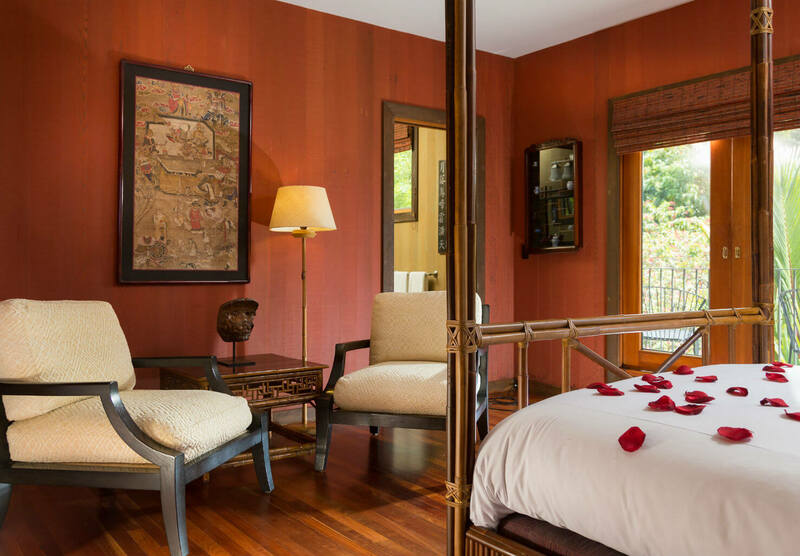 Enhance your love affair with a Big Island romance package that includes silk rose petals on the bed, chilled complimentary bottle of champagne and a box of Kailua Candy Company chocolates.